Author: Nathalia Alzate & Huw Morgan at Aberystwyth University. Coronal mass ejections (CMEs) are generally associated with eruptive phenomena in the lower corona such as flares, filament eruptions, EUV waves or jets, collectively known as low-coronal signatures (LCSs). CMEs lacking these signatures are identified as “stealth” events. In this nugget we report on our application of new image processing techniques [1,2] to events previously classified as stealth CMEs . The processed EUV images reveal LCSs for all the listed “stealth” CMEs ranging from flares and jets to filament eruptions. Many events identified as CMEs are small blobs or puffs , often occurring in the aftermath of a large CME. Several of the larger, structured “stealth” CMEs arise from the slow eruption of sizeable, faint flux tubes situated at high latitude and large heights, therefore in regions of low density and weak magnetic field. A “stealth” CME is therefore a misconception arising from observational and processing limitations. 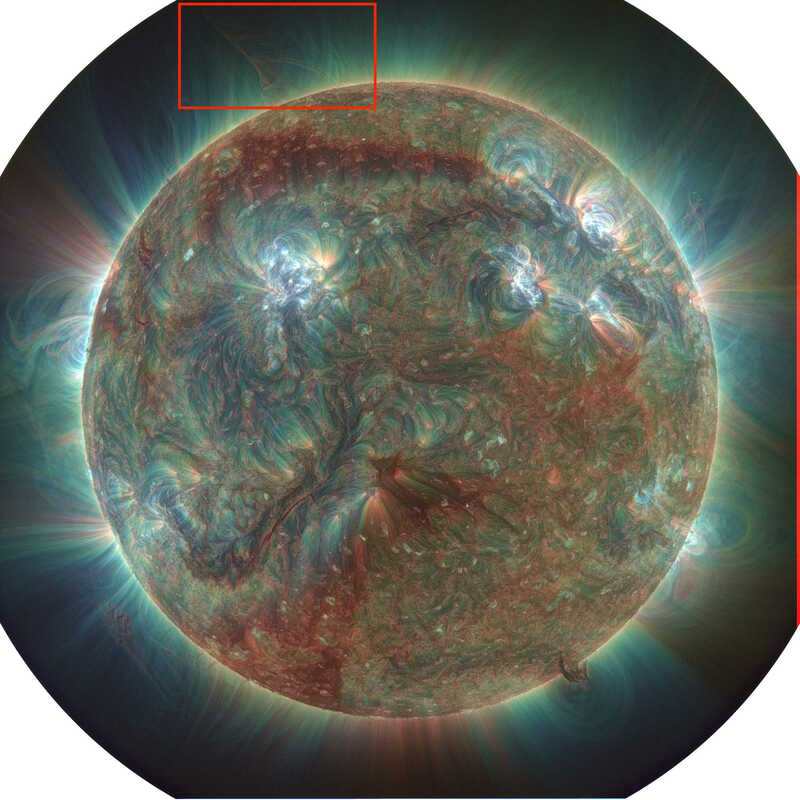 Advanced image processing methods are used to search for the possible low-coronal signatures of “stealth” CMEs. LASCO C2, SDO/AIA and EUVI data is collated and processed for 40 events previously identified as “stealth” CMEs . LASCO C2 images are processed using the dynamic separation technique [DST, 1] and EUV images are processed with Multiscale Gaussian Normalization [MGN, 2]. The processed images helped reveal fine-scale details and faint structures in off-limb regions. Figure 1 is an example of our MGN-processed images compared to images processed with only a little contrast enhancement. Unfortunately, the latter is the elementary level of image processing commonly applied to coronal observations; consequently many important structural or dynamical details remain hidden. Top row: (A) Example provided by  of an event (23 February 2012) viewed in SWAP. (B & C) SWAP images processed with MGN at 23:00UT on 21 February and at 12:00UT on 22 February. (D) SDO/AIA image from . 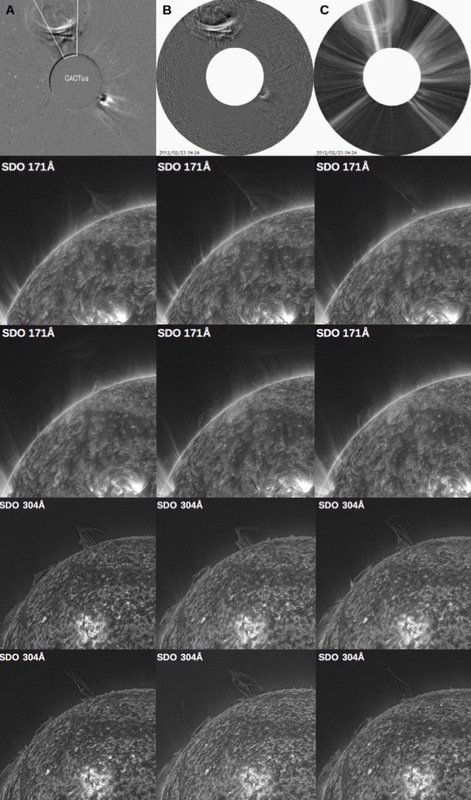 (E & F) MGN-processed SDO/AIA images of the same event. The MGN-processed images are significantly enhanced providing a much sharper view of activity in the corona. Limb and off-limb structures can be traced much further out than in image A and D. The red boxes enclose the region of interest where LCSs are revealed by MGN-processing, completely invisible in the non-processed images A and D.
Figure 1: MGN-processed images compared to images processed with little contrast enhancement. (A) SWAP image from . (B & C) SWAP images processed with MGN. (D) SDO/AIA image from . (E & F) MGN-processed 3-channel SDO/AIA images of the same event. A full resolution version of panel (E) is available here. 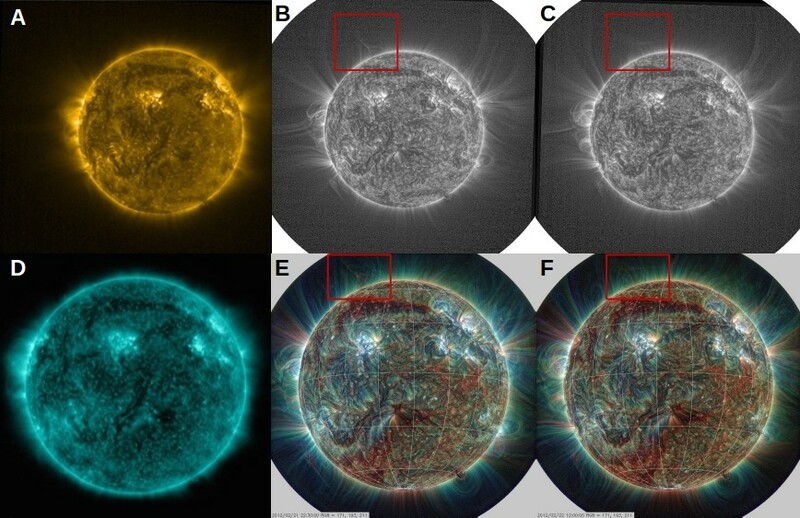 Figure 2: A more-detailed analysis of a “stealth” CME (23 February 2012). (A) The CME tracked by CACTus. (B & C) DST-processed LASCO/C2 images. (Two middle rows) MGN-processed SDO/AIA 171Å images. (Two bottom rows) MGN-processed SDO/AIA 304Å images. Several of these filament eruptions are interesting cases of high-latitude filament eruptions. As an example, Figure 2 shows more detail for a “stealth” CME on 23 February 2012. (A) The CME was tracked by CACTus [5, 6, www.sidc.be/cactus] and is clearly seen in our DST-processed LASCO/C2 images (B & C). The CME, although faint, has a clear flux tube appearance in LASCO C2, commonly associated with the eruption of a filament/cavity system (i.e. a large flux tube) . The MGN-processed EUV images are SDO/AIA 171Å (two middle rows) and 304Å (two bottom rows) images. The source of the CME is a filament-cavity system that is slowly rising, forming the distinct flux-tube appearance of the CME in LASCO C2. This we interpret as a distinct subclass of erupting filaments associated with polar filaments at very high latitude. The associated cavity system (the flux tube) remains at a large height for an extended period of time prior to eruption and is therefore low-density and faint (or even mostly outside the field of view of the EUV observing instrument). When this system erupts, the only observable LCS using current instrumentation is the deformation and evolution of the magnetic field lines at the base of the cavity system, as shown in the EUV images of Figure 2. It is possible to see the lowest part of the flux tube in some of the 171Å images, as a very faint ‘U’ shape near the edge of the field of view. There are other studies besides  which identify CMEs as “stealth” CMEs. Unfortunately, the dynamics of faint low-coronal structures are often missed because of image processing limitations. Many so-called stealth CMEs are just unstructured blobs with small mass, usually associated with jets, and often occurring in the aftermath of large CMEs. Their inclusion in previous studies is probably due to the use of output from an automated CME catalogue without reference to the original data. The 23 February 2012 event shown in Figure 2 has the appearance of a large flux tube, which through reconnection erupts slowly. It has low energy and very low initial velocity and acceleration. We interpret this event (and several others) as a special and distinct case of an erupting filament, where the flux tube (cavity) is maintained at a large height for an extended period prior to eruption, and is therefore very faint, or even mostly outside of the FOV of current EUV instruments. The term “stealth CME” was first coined by  to draw attention to the fact that some low-latitude (possibly geo-effective) CMEs were only first detected in coronagraph data several hours after initial eruption (their LCS was impossible to view against the disk in EUV), and therefore would be difficult to detect in a future early-forecast system. However, a misconception has arisen where the lack of observable evidence of LCSs is taken to mean that there are no LCSs, or that there is some unknown, new class of difficult-to-observe LCS. In this sense, some eruptions of high-latitude and high-altitude filament-cavity systems fit this latter interpretation. However, all 40 events studied here, previously classified as “stealth” CMEs, possess some form of low-coronal signature. A “stealth” CME is therefore a misconception arising from observational and processing limitations.